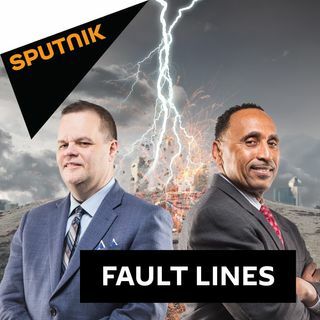 On this episode of Fault Lines, hosts Garland Nixon and Lee Stranahan talk about the power of establishment propaganda and some of the main tactics they employ to further their messages. Patrick Henningsen, founder of 21stCenturyWire.com, joins the hosts to discuss this topic and groups such as the Atlantic Council and PropOrNot. Former Congresswoman Cynthia McKinney regularly clashed with the DC establishment for her willingness to challenge political norms. Today, McKinney joins Fault Lines as a guest for the first time to discuss both her time in Congress and her thoughts about America's current foreign policy trajectory. As the Mueller investigation appears to be coming to its conclusion, some historians have noted the similarities and differences between the Mueller probe and Watergate scandal. Geoff Shepard, author of 'The Real Watergate Scandal,' returns to the show for an in-depth discussion about Watergate and some of the lesser known details that are critical to the story. To close the show, Talib Karim, an Attorney and the Executive Director of STEM4US, comes in-studio for a conversation about both the life of former President George H. W. Bush and the crack epidemic that broke out in Los Angeles during the 1980s. What was the role of the CIA in furthering this situation in LA, and how does it tie in with the legacy of Bush 41?